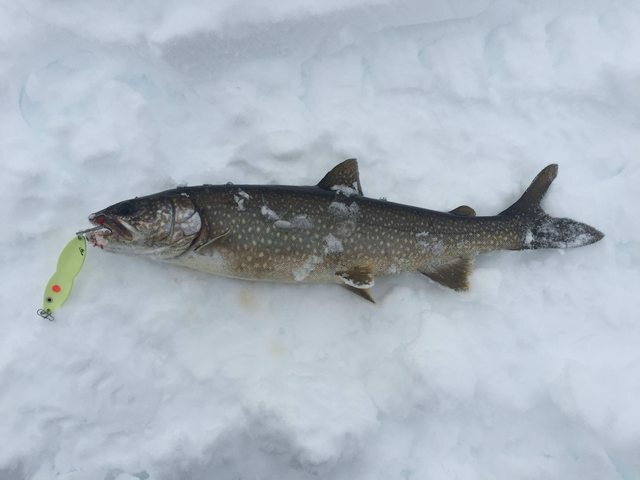 Ice in Denver may be done, but we found 30” today out east! 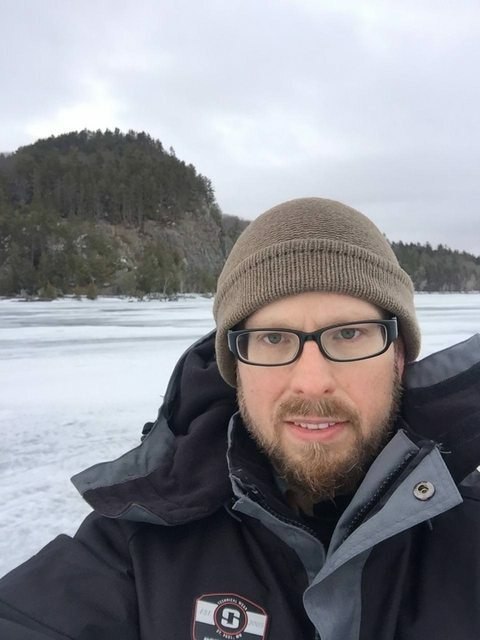 Moosehead Lake in Maine with my bro and some great peeps- Lavaman, Jrelaxin, Linguini, Shrinkage, Eiderz, Masspike, and more! Caught my first cusk today, and proceeded to slay them all day. 1oz PK flutterfish topped with smelt. I was told they are poor man’s Lobstah. Can’t wait to try them! Our group has been catching salmon and lakers on tipups. Fish chowda tomorrow!! Looks like that Northeastern is making some wintry weather, snow, snow, snow. 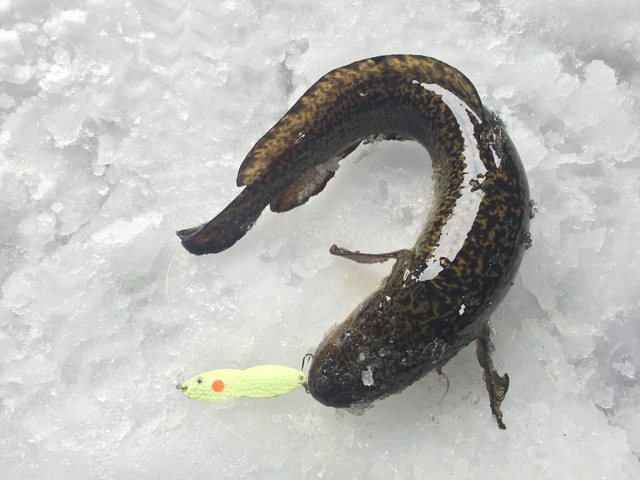 Nice pics, we call them eel pout in Minnesnowta. They say there good table fair but I haven’t tried. Tight lines and be safe! 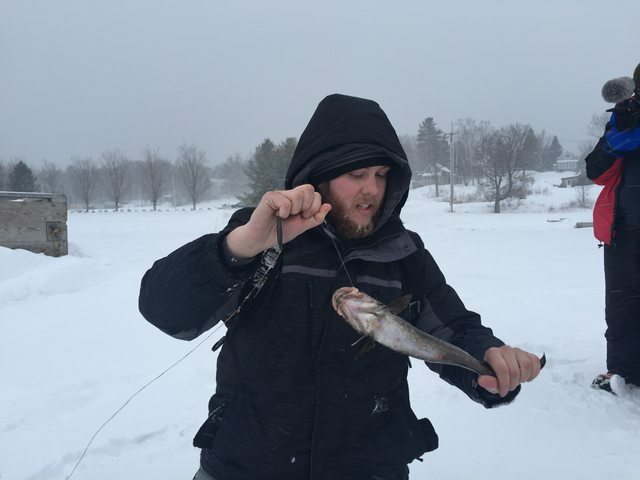 I was catching walleyes in 60f sunny weather yesterday! 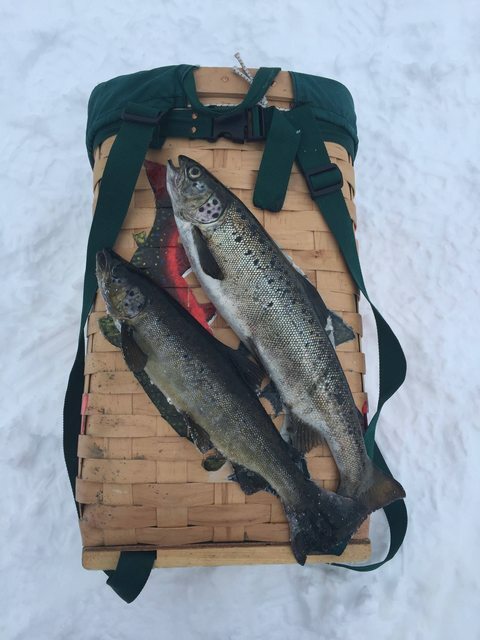 Moosehead is a great fishery, but you guys certainly put on a show. Nice haul! Nice haul there Nate. I went laker fishing yesterday, caught 14 dinks, but hey it was better than working. Thanks, guys — so far these Nor’easters haven’t snowed us in too bad. Lots of people south of us without power, I feel bad for them. 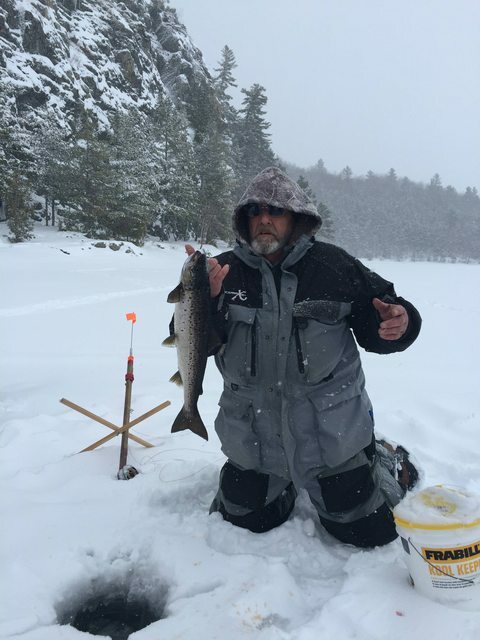 I got a nice fat 19” laker (togue) today, they’re not easy to find on this lake so far. Guys in our group caught a bunch of landlocked salmon and some brookies today. And of course, more cusk today. Cusk chowda tomorrow! I’m learning from the Cusk King himself, Lavaman! 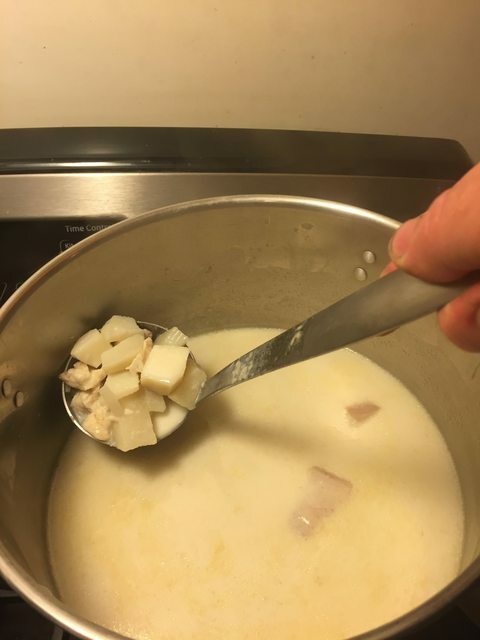 Lavaman made cusk chowder last night, and it was great! I definitely did NOT say “meh”. 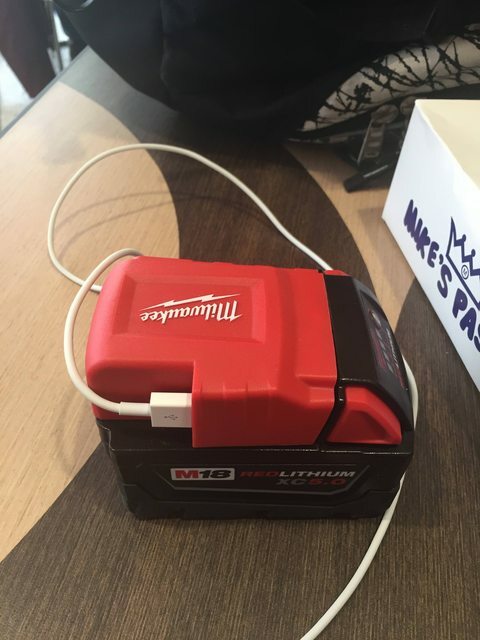 Also, one of the advantages of bringing your flasher across the country is having a handy airport phone charger! 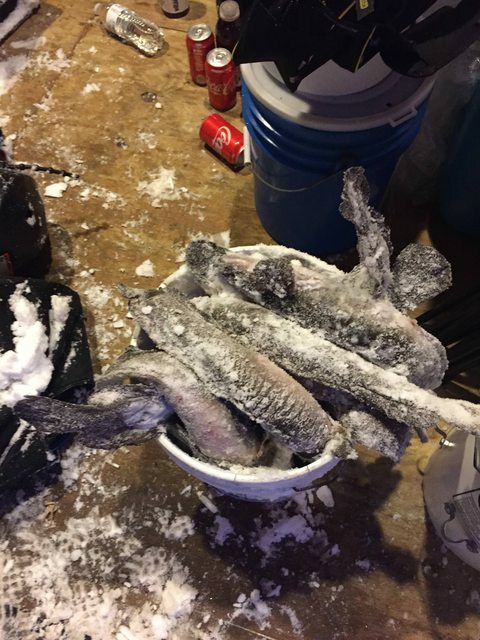 Have you ever cut northern pike into small chunks, then boil in salt water to toughen em up and then dip in hot butter when eating? I think it’s very tasty....Butter makes everything better. Be sure to remove the y-bones from the fillet. I use a little butter almost every time I fry fish, rather than oil. If I want to eat lobster in New England, I'll buy frickin lobstah. It's like $5 a pound. Cusk is definitely good and worth eating, though!! That chowda was da bomb. Big that New England trip was the bomb. Absolute blast hooking up with your buddies and great memories. 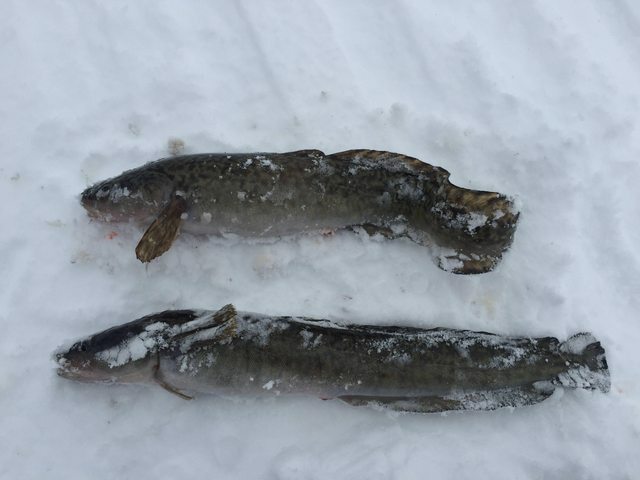 Way cool no matter how burbot tastes!